Blue is a colour which brings that peaceful look but also help us make a statement too. For the ladies who are used to wearing something simple as monochrome outfits, why not go out flaunting a new theme. If you are not into the right royal blue, there are always other shades of blue which you can choose from according to your personality. 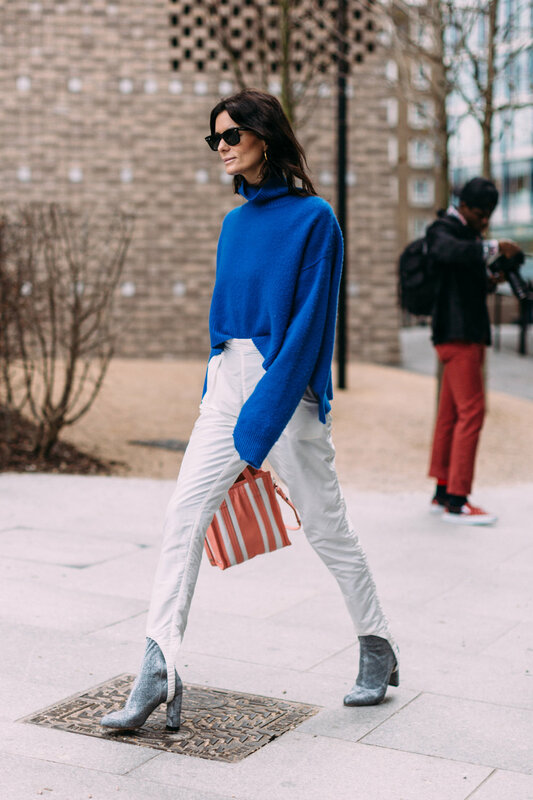 Don’t know how to style those nice shade of blue look? Well, take a look at some style tips below. Instead of the normal bags you use to match with your outfits, try a blue bag once in a while. Be it clutches purses or backpacks; match the blue bags with neutral coloured outfits so that the blue bags serve as the focal point of your whole look. Have you realized that the PJ’s look is becoming a trend nowadays? Not only in the bedroom, pyjamas are getting a huge attention in the fashion scene. So why not pull it off with a nice shade of blue and go about your day comfortably. The trick to not be boring wearing the shade of blue pyjamas is by spicing it up with a nice jacket and hat. You do not want to look like you just got out of bed in your pyjamas. You want to rock it with style in front of others everytime you step out of the house! Want to add a pop of colour in your wardrobe? Blue tops are the perfect way to do it. You can go for a nice loose blouse for an easy-going look for a casual day out or even go sophisticated by wearing a blue shirt. Either way the shade of blue tops will absolutely not only transform your whole outfit but also increases your confidence and mood. Match those tops with black or white trousers for a perfect fashion effect. For the ladies who want to look cheerful and in control, take the risk and flaunt a blue dress or skirt on whenever you go out. Enhance the blue dress or skirt with sneakers or heels with some simple accessories for that balanced appearance. This adds a youthful touch while still maintaining an elegant hint of style. So what are your ideas on how to pull shades of blue outfits in style? Feel free to leave your ideas in the comment section below.